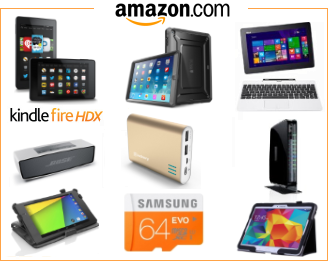 We mentioned on Monday that the updated Samsung SM-T387 would not only be updated to Android 8.1, but also that Samsung have Bluetooth certified this 8-inch tablet with a new additional name for some markets. And as we saw, that name is Samsung Galaxy Tab A Lite. 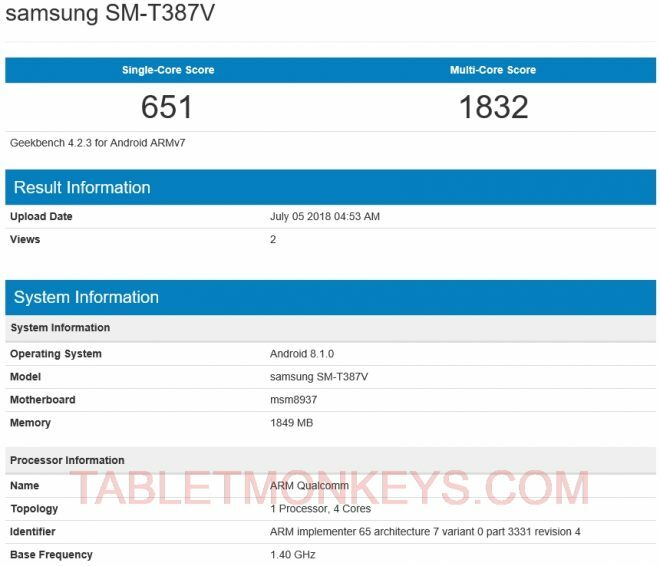 The updated Samsung Galaxy Tab A 8.0 / Galaxy Tab A Lite 8.0 (SM-T387) was benchmark tested on Geekbench 4 this week too, which once again reveals that the internals are the same as before and that it’s still powered by a Qualcomm Snapdragon 425 processor with 2GB of RAM. And the benchmark scores reflect that by being at generally the same level as before, though a 1% uptick in multi-core scores is seen now that it runs Android 8.1.0. over the Android 7.1 from last year. Samsung Galaxy Tab A 8.0 is a 1280 x 800 resolution tablet with USB C that was first launched in Asia in September 2017, before it was released in the US in October with the model numbers SM-T380 (Wi-Fi) and SM-T385 (4G LTE). 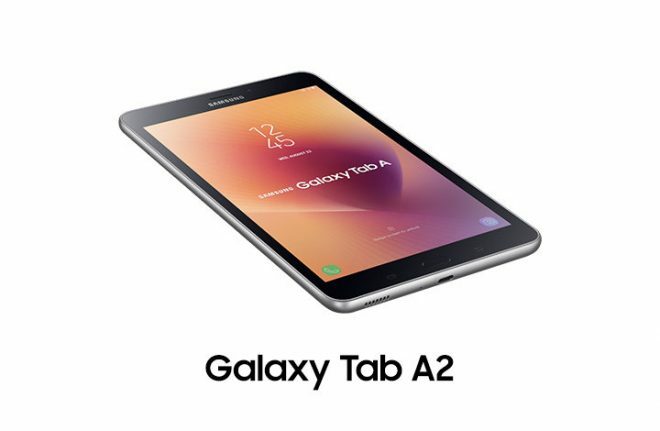 In some of the Asian markets the same tablet was sold as Samsung Galaxy Tab A2 8.0 while still belonging to the Samsung SM-T385 model series, where the 4G LTE version of Samsung Galaxy Tab A2 8.0 actually had 3GB of RAM, which it didn’t in other markets. The rest of the specs were the same though. We first mentioned the updated Samsung Galaxy Tab A 8.0 / Galaxy Tab A Lite tablets on June 26, after they were certified with Android 8.1. As much as 6 different versions have been Wi-Fi certified since then, with these being Samsung SM-T387V, R4, VK, P, T, and AA, but so far only the SM-T387V have been benchmarked, the one model that is still named Samsung Galaxy Tab A 8.0 by Samsung.